Embassies have unique needs when it comes to heating, air conditioning and plumbing. 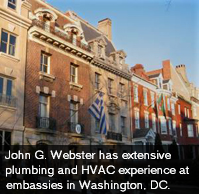 John G. Webster’s skilled plumbers and HVAC technicians have extensive plumbing and HVAC experience at embassies throughout Washington, DC. From event schedules to historic interiors, embassies have special needs when it comes to heating, air conditioning and plumbing. John G. Webster’s seasoned plumbers and HVAC technicians regularly provide heating, cooling and plumbing service to embassies throughout Washington, DC. 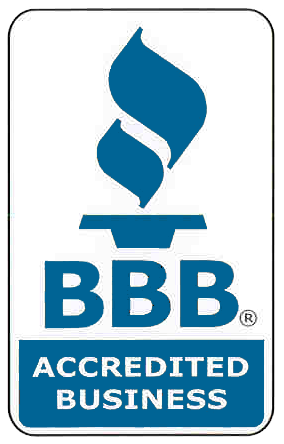 We also offer money-saving service plans that will keep your heating and cooling equipment running at peak performance, saving you from worry and inconvenient—and potentially expensive—breakdowns in the middle of winter or summer. John G. Webster has differentiated itself from its competitors with its commitment to safety, the best and brightest technicians, up-front pricing, name-brand equipment and environmental certification. We also have a rich history of more than 100 years in the Washington area. Does your embassy need plumbing, heating or cooling service? Contact us today!